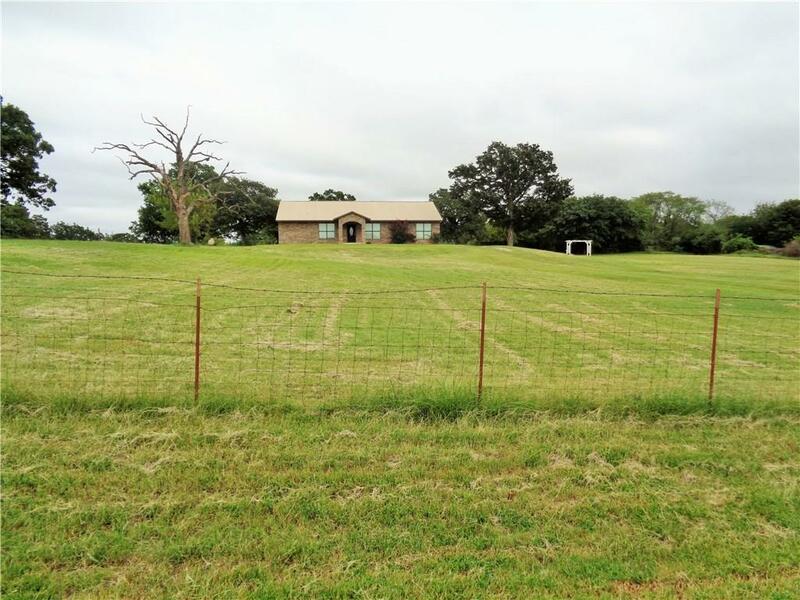 Acreage located on paved cul-de-sac just south of the town of Jones. True open floorplan. Two optional dining areas. 2nd living room could be used as a study or optional non-conforming bedroom. ALL BEDROOMS good size. Master bedroom has THREE CLOSETS, His and Her closets in Master bath and large closet in bedroom area. Master bath has double vanity, large tile shower and tub. Beautiful woodwork. Large living room with nice view of back yard and a wall of built-in shelfs. CARPET UPDATED SEPT 2018. Good size utility room. Kitchen is gorgeous with large breakfast bar and pantry. Covered patio with tree trunk columns makes this house just perfect. Eligible for Rural home loan.